Neon glass beads elevate the quality of your beadwork while keeping a youthful color palette. No longer do you have to buy plastic or acrylic beads to get those super bright and fun neon orange, pink, yellow, and green. 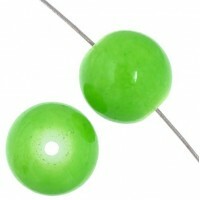 Choose from either a shiny or matte finish in our neon glass beads.